A project set up by students at City University London to provide hydroponics to the developing world has been highly commended. Hydrovillage, a project set up by students at City University London, has beaten more than 100 other teams to make the final 4 at a national social enterprise competition. The McKinsey Venture Academy competition is open to undergraduates and postgraduates across the UK and encourages students to turn ideas into social enterprises that make a difference. Set up by nine City students, Hydrovillage is a project to design hydroponic systems and send them to people in areas of the world affected by soil infertility, providing them a way to feed themselves and their families, while also teaching them business skills. Hydrovillage was set up as part of Green Dragons, a City sustainability leadership programme commissioned by NUS Students’ Green Fund scheme that provides support and funding to students with sustainability project ideas. The project is also supported by Enactus, a student run, non-profit organisation located across 35 countries. The Hydrovillage team made it through three rounds to reach the final four, after completing a workshop and submitting a comprehensive business plan. The team were invited to the McKinsey Venture Academy ‘Dragons Den’ style finals where they gave an elevator pitch to a panel of judges. The team consists of Saeid Rahmanian and Mario De Landro from the School of Mathematics, Computer Science & Engineering and Cass Business School students; Christina Katsouli, Jacqueline Engdahl, Loreta Butenyte, Ricardo Ros, Duke Nguyen, Cosimo Luzzi Spagnoli and Nyasha Sardana. We are very excited to have reached the final four. We have learned so much through this journey and from each step in the McKinsey Venture Academy and we are really proud of everything we have achieved. Hydrovillage are aiming to raise £3,000 to help fund the initial phase of the project. To make a donation, visit their Go Fund Me page. 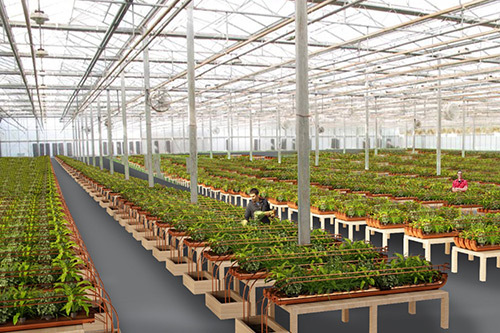 Hydroponics is a method of growing plants in water without soil.